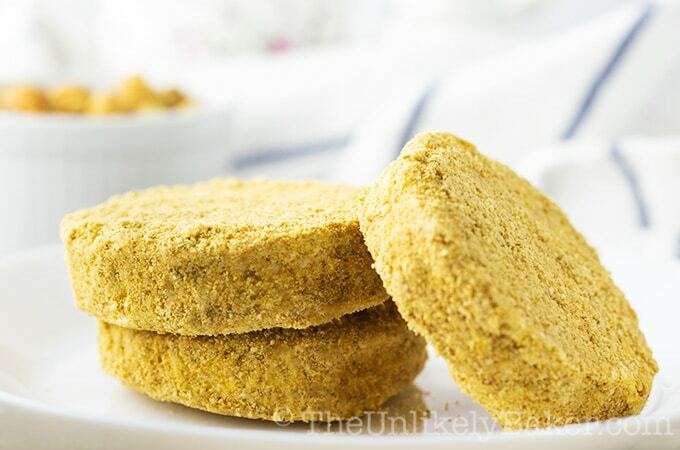 For our family, silvanas (or sylvanas, both are correct and used interchangeably) are a favourite Easter treat. They are possibly one of the most unique cookies in the world, certainly one of the richest and most decadent. I hope it becomes a favourite for your family too! What are silvanas / sylvanas cookies? But first, what are they? 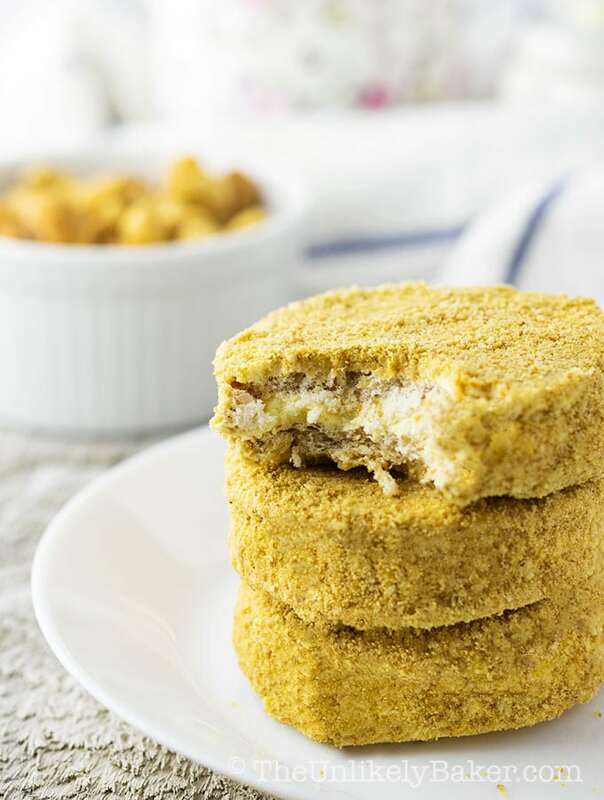 Imagine smooth French buttercream sandwiched between two crunchy cashew meringue cookies. Don’t stop there. 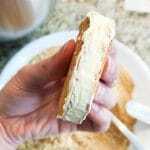 Frost the whole cookie sandwich with more buttercream then coat it with cookie and cashew crumbs. Freeze and eat cold. So good! If you’ve had sans rival before, silvanas are its cookie cousin. Both sans rival and silvanas are meringue-based, which means you would need egg whites. And since silvanas are frosted with French buttercream, you’d need the egg yolks too. So it’s really important to use farm fresh eggs in this recipe. Here in Canada, we’re lucky because eggs get from farm to grocery store in less than a week! All thanks to a great supply management system and a network of over 1,000 Canadian family farms who work year-round so we can have the best Grade A eggs possible. would certainly make life easier. You can do without them though.
. It’s inexpensive and so useful. This recipe involves working with egg yolks and you want to make sure they are properly cooked. A thermometer helps ensure that. Alternatively, you can buy pasteurized eggs or pasteurize them yourself. Here’s a great guide. 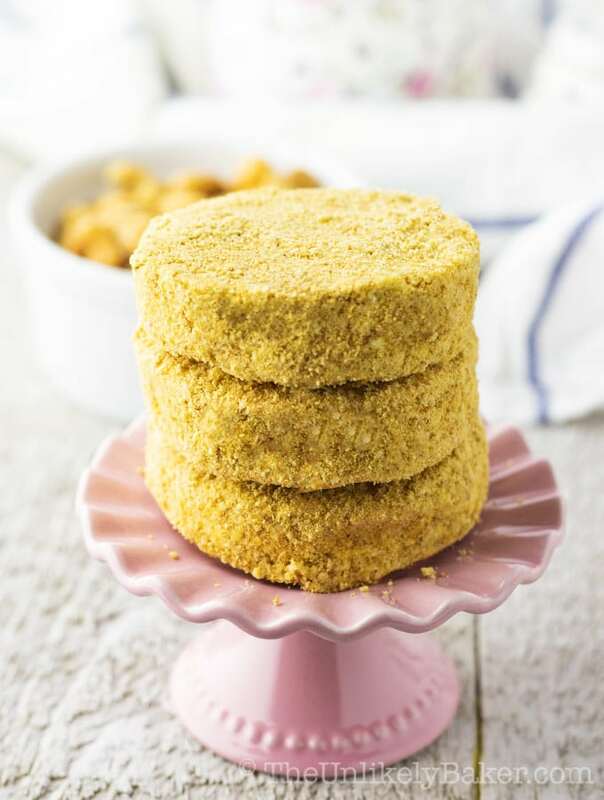 I personally prefer cooking the yolks myself so I have no fear serving these cookies to kids or pregnant friends (everybody deserves silvanas!). Now we’re ready to bake some silvanas. We need to make our meringue first. In a bowl, whisk your egg whites until foamy, then add your cream of tartar. Continue whisking until you reach soft peaks. Gradually add the sugar until the meringue is stiff (but still glossy not matte). Then gently fold your ground cashews. Pipe the meringue onto your cookie sheet and bake at 300F for 20 minutes or until the cookies are a beautiful light brown around the edges. Turn the oven off but keep the cookies in the oven for another 10 minutes. Make sure your egg whites are room temperature. They whip better and are more stable. Also ensure your bowl and your whisk are absolutely grease-free. Oil is meringue’s enemy so you want to make sure there is not a spot of oil or grease on anything. I share more tips in my post on Brazo de Mercedes cupcakes – fluffy meringue cupcakes filled with rich custard (in other words – yum!) – check it out. Unlike American buttercream, which is made with butter and confectioner’s sugar, French buttercream is made with egg yolks so you have frosting that’s richer, smoother but not as sweet. Traditionally, French buttercream is made by slowly pouring hot sugar syrup (238F / 114C – pretty hot!) while you whip the egg yolks. I have two issues with this: one, I’m deathly scared of hot sugar syrup drizzling into a running mixer. And two, I have reservations about the syrup fully cooking the egg yolks. 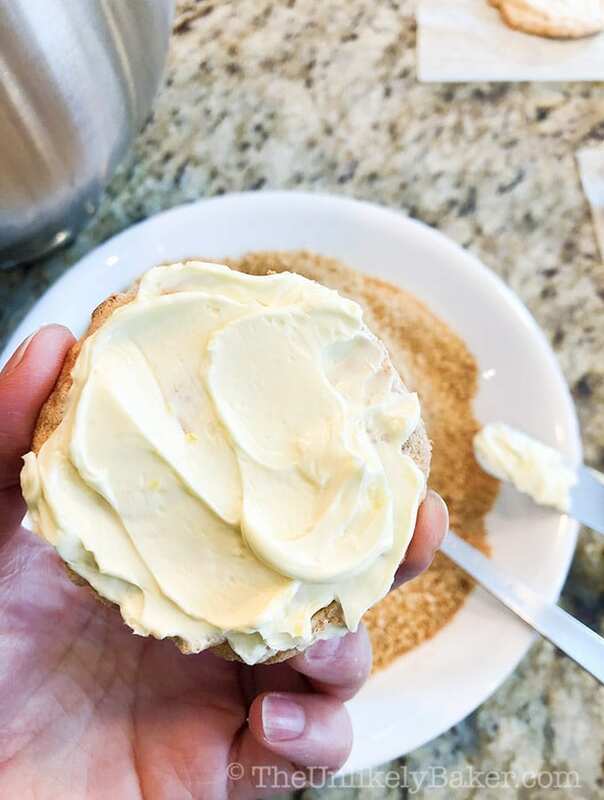 My favourite frosting is Swiss meringue buttercream and I wondered if French buttercream can be made the same way – can I cook the egg yolks with sugar in a double boiler then whip it with butter? Happily, I can! Constantly stir your egg yolk-sugar mixture so it doesn’t turn into scrambled eggs. Watch the temperature of the egg yolks – once you reach 155F / 68C the egg yolks should be fully cooked. Make sure you use cubed, softened butter. Butter must easily give way when you gently press your thumb onto it. But it should not look greasy or oily like it’s about to melt. I find it’s easier to work with coated cookies as opposed to frosting the whole cookie and having buttercream all over my hands. I know some bakers like to freeze in between steps for the smoothest, neatest coating. Other simply fill, frost and coat. Whatever works, right? Try a few cookies and see what method you like best. You know what would make the whole thing that much quicker though? Involve the kids! Have them make their own cookie sandwiches. I won’t lie – it’s going to be messy but it will be so much fun. The most challenging part would be asking them to wait the 30 minutes for the cookies to set! Silvanas are definitely a special occasion cookie. But eggs are not just for special occasions. In fact we eat Canadian eggs everyday! So whether you’re planning your epic Easter menu or meal planning for next week, add eggs to your grocery list. 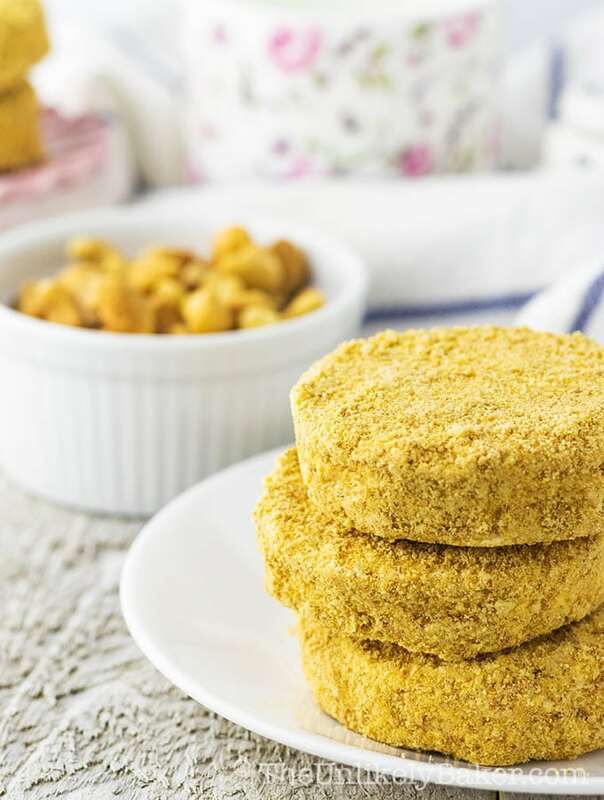 They’re not only versatile and delicious, they’re also nutritious and good for you. 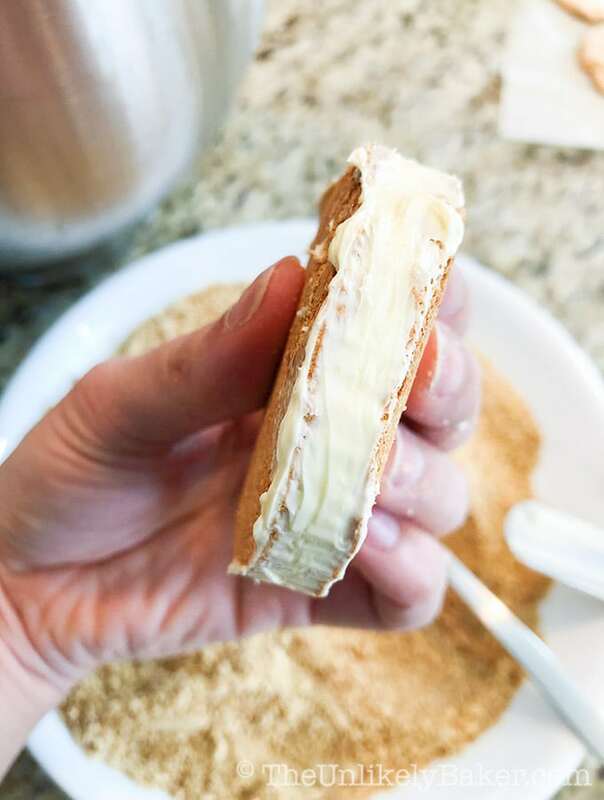 Silvanas recipe - crunchy meringue cookie sandwiches filled with luxurious French buttercream. A unique and beloved Filipino treat! Preheat oven to 300F. Line a cookie sheet with parchment paper, lightly grease and set aside. 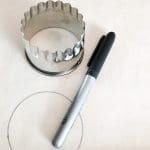 To end up with cookies that’s the same shape and size, you can create a guide by tracing a cookie cutter (or anything round) at the back of your parchment paper then flipping that over. You want your cookies 2-3 inches in diameter. Using a stand mixer fitted with the whisk attachment or a handheld electric mixer, whisk 5 egg whites on medium-high speed until foamy. Add 1/2 tsp cream of tartar and continue whisking until you reach soft peaks. Gradually add 1/2 cup sugar until you reach stiff peaks. 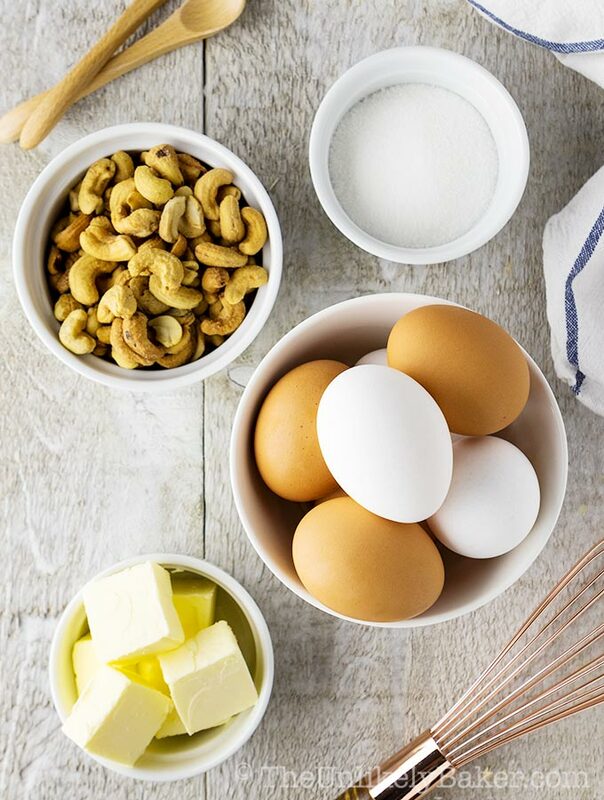 Remove the bowl from the mixer and gently fold your ground cashews into the meringue, careful not to deflate it. Transfer the meringue into a piping bag (or a large Ziploc bag with one corner cut off) and pipe onto your prepared baking sheet. Smoothen the tops with an offset spatula. Bake for 20 minutes or until the sides turn a light brown. Turn the oven off but leave the cookies in the oven for another 10 minutes. Take out of the oven and allow to cool before removing from the baking sheet (see notes). While your cookies are baking, you can work on your buttercream. Start by boiling water in a large pot, then bringing it to a simmer (see notes). In a large stainless steel bowl (I like using the bowl of my stand mixer), whisk 5 egg yolks, 1/3 cup + 1 tsp granulated sugar, 2 tsp vanilla extract and a pinch of salt. Place bowl over simmering water and constantly stir/scrape the sides so the egg yolks don’t scramble. You need this mixture to reach 155F/68C to make sure the yolks are cooked through (see notes). When it’s ready, transfer the bowl to your stand mixer fitted with the whisk attachment and whisk at high speed until it’s light, fluffy and stiff (6-8 minutes). If you touch the bottom of your bowl it should not be hot anymore. With the mixer still on, start adding your butter and continue whisking until your buttercream is thick and creamy. 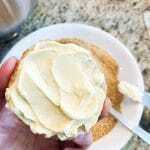 If you’re not using the buttercream right away, transfer to an airtight container and refrigerate. You may need to re-whip before using. Now you’re ready to assemble! 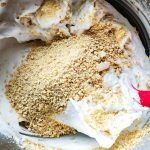 Combine the graham crackers with the ground cashews. Take a fully cooled cookie, spread some buttercream on the uneven side and sandwich with another cookie (again, smooth side out). Fill in the sides and smoothen it out. 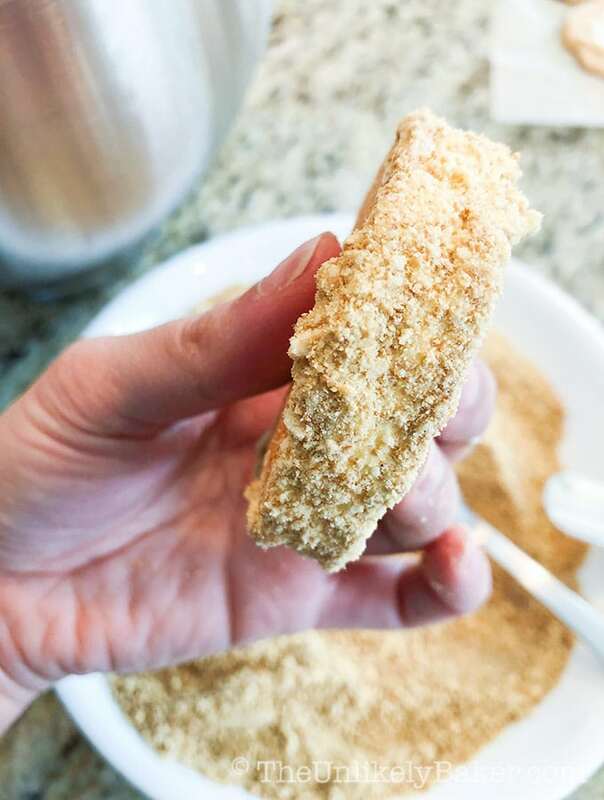 Roll the cookie in graham cracker cashew crumbs. Proceed to frost and coat the rest of the cookie (see notes). Freeze to allow the cookie to set. Best served cold. Don’t remove the cookies too early from the cookie sheet, they will stick and break. Don’t leave on the sheet too long either, they will become too brittle. You know they’re ready if they detach from the sheet easily and in one piece (you may need a sacrificial cookie for testing!). You don’t need too much water; depending on how big your pot is, 1.5 to 2 inches of water is fine. Just make sure your pot is wide enough so your mixing bowl will fit in but not too wide that the bottom of your bowl will touch the bottom/hot water. A thermometer is absolutely necessary here, you can get one for less than $15. Check out the post for tips on how I frost and assemble my silvanas. Did you make silvanas / sylvanas? How are you celebrating Easter this year? I’d love to hear from you in the comments section below. And use the hashtag #eastertaining in your social media posts so we can see all the delicious things you’re up to! Speaking of social, let’s! Find me on Facebook, Pinterest, Instagram, Twitter and Flipboard. I’ve never heard of them! They sound yummy with the buttercream filling! I have never heard of these cookies. They sound delicious! I’m not Eastertaining this year but these look delicious. Yummers! Something unique, something special and something perfect. Need to surely try this for Easter. Organization is key 🙂 Hope you like it! I love all the individual components so I know I’d adore the cookies. They look so good and what a great presentation. Filled cookies are made for special occasions. I’m saving the recipe to make for our family gathering later this year. I know what you mean! I tend to eat the cookies and the buttercream and the crumbs while I’m making them lol. They’re amazing together. Definitely a special occasion cookie. I’ve had these cookies before and they are delicious! Never made them though, but now that the recipe is right here, I will save this and make them for my family. My kids will certainly love them! Nice! This is a family favourite, hope you and your family like them too. I’m so intrigued with these cookies. I just made sugar free meringues for the first time and am excited to try new ones. Do you think I could make just the cookie part? 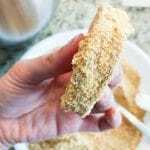 I’m on a low carb diet and while I would LOVE to eat these the way you have them in the recipes I tend to get headaches from too much sugar. 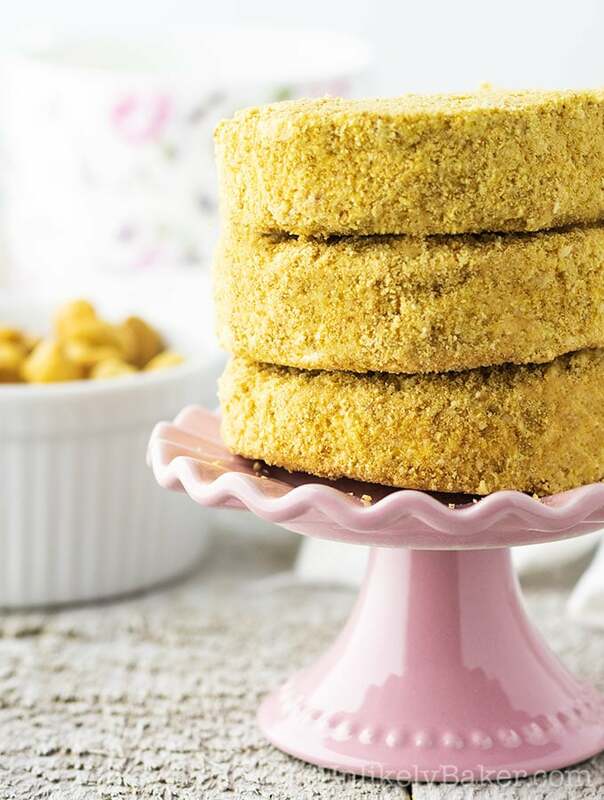 Then again a headache might be worth that buttercream and graham cracker coating! Looks delicious! Hi Denise! You can totally just make the cashew meringue cookies. They’re nice and crunchy on their own. These both look and sound decadent. I confess that I am tempted to try them!!! What an interesting recipe. These sound amazing. I am also terrified of not having the eggs cooked properly so I like the route you went. Definitely something I would try. Right?? This method definitely takes care of that. OH this looks so good. I hadnt heard of this before but I would LOVE to try! I am searching for new cookies recipes to try out for easter. Glad I came across your post. I am going to try this recipe. These Sylvanas cookies look so delicious! I am going to try out this recipe, I just hope that I don’t land into some baking disasters…I am bad at it! Oooo these cookies look delicious!!! Perfect dessert for the family!!! I bet my hubby would love them!!!! Yum!! 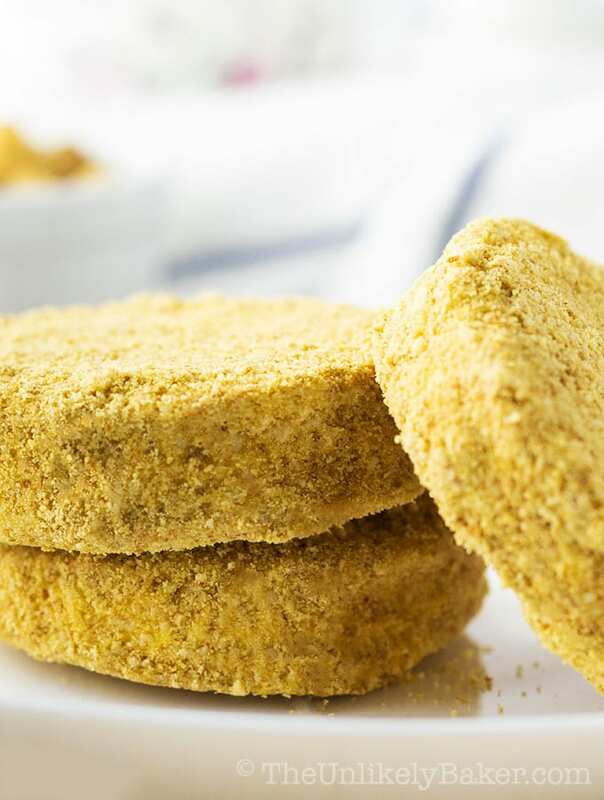 We love silvanas and had them growing up too! I remember House of Silvanas. It’s been years since I last tasted them because they’re not available where I live. Now I have no excuse, I can make them. Thanks for the recipe. 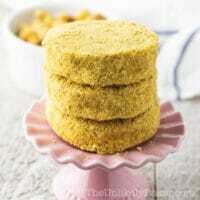 Great recipe am saving this in my recipe book and trying it out over the weekend. I’ve never heard of these cookies before, but they sound delicious! It’s funny you mention making them with kids, because I was already thinking of making them with my boys before I got down to your mention of it. Have fun with your boys Stephanie! I love cookies but have never tried sylvanas cookies yet. Definitely trying your recipe for this one!